A man who managed to fight off a shark attack has now contracted a severe flesh-eating infection, it has been reported. Blain Shelton, from Texas, was swimming off the shore of Boliver Island in Galveston County when a shark bit into his leg. The 42-year-old managed to escape, but exposure to the seawater left him with a severe flesh-eating infection. Galveston County Sheriff Henry Trochesset said Monday he doesn't believe any of the victims killed in Friday's mass shooting were shot by officers during the crossfire with the suspected shooter at the Santa Fe, Texas, high school. "I would like to be able to tell you on your graduation, that you're going to embark on this life that is filled with happiness, and fun," said Galveston County District Attorney Jack Roady. "But I cannot, because you are not." Galveston County District Attorney Jack Roady spoke at the Santa Fe High School Class of 2018 Baccalaureate, where he delivered some sobering words. A shooting at a Texas high school lasted for a terrifying 30 minutes on Friday. For 25 of those minutes, officers and the gunman engaged in a gunfight, Galveston County Sheriff Henry Trochesset told CNN Sunday. Dimitrios Pagourtzis, 17, has been identified as the suspect in the Texas high school shooting that left 10 people dead, Galveston County Sheriff Henry Trochesset said. 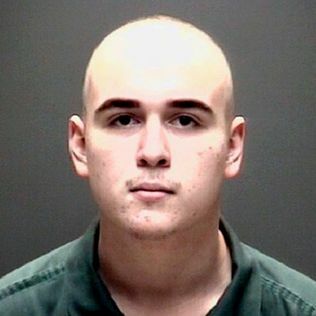 Dimitrios Pagourtzis, identified as the Texas high school shooter, is being held on capital murder charges with no bond, Galveston County Sheriff Henry Trochesset said.